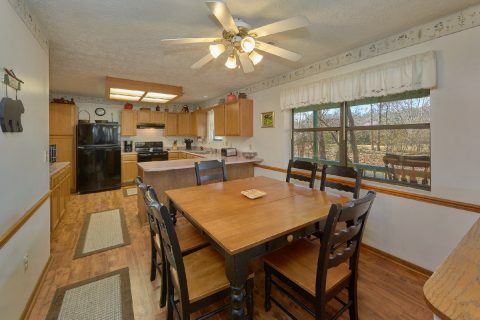 Located just off of Walden's Creek Road in the Smoky Mountains, you'll find "Creekside Cottage!" 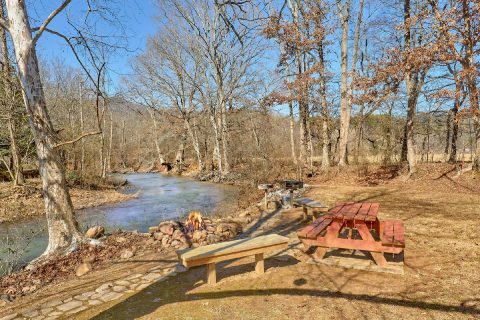 This secluded 3 bedroom vacation rental in the Smokies boasts a lovely creekside location and it also offers guests quick access to the biggest attractions in the Smokies! 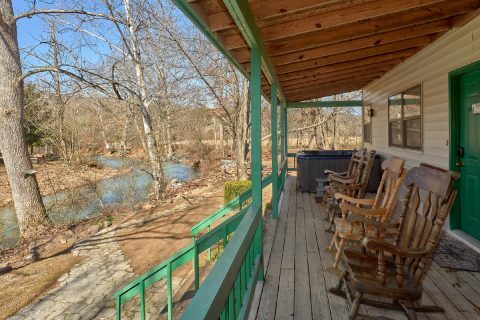 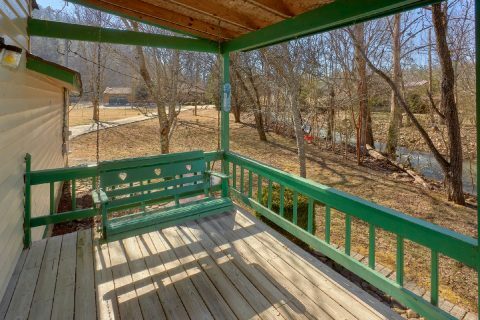 Since this rental is located in the mountains between Pigeon Forge and Wears Valley, guests of this cottage will be only a 10-minute drive from the Pigeon Forge Parkway. 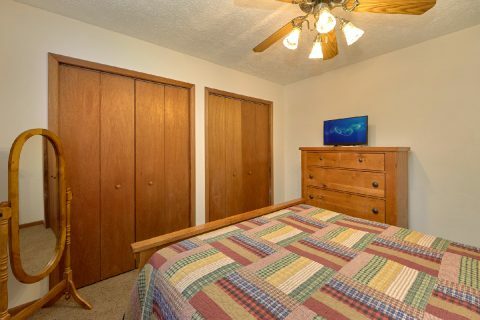 Here, they can enjoy fun attractions like Dollywood, The Island, and The Historic Old Mill. 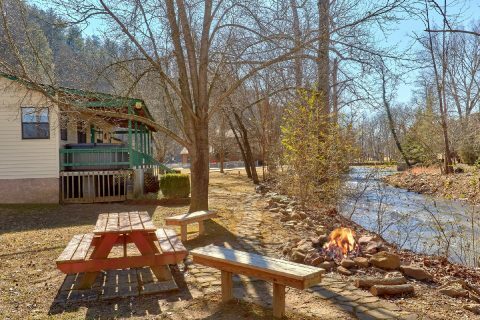 By driving towards Wears Valley, vacationers can explore a peaceful Smokies town that's located just outside of the Great Smoky Mountains National Park! 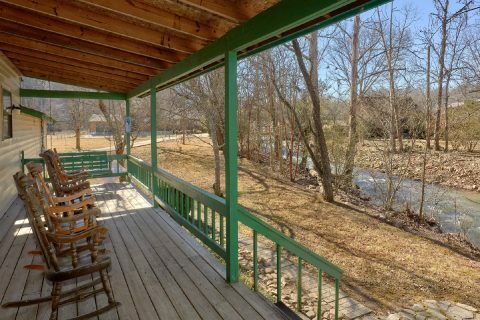 After a great day spent exploring the Smokies, you'll love returning to this peaceful, private vacation rental that sits beside a lovely mountain stream. 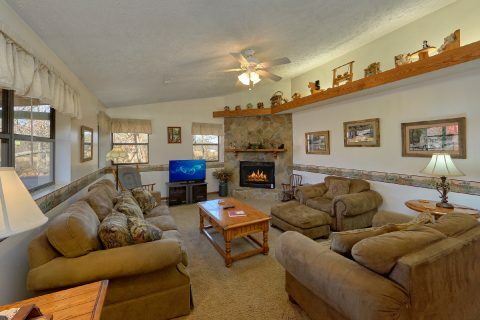 Step inside this one-level vacation rental and you'll find the welcoming living area complete with comfortable furnishings, a gas fireplace, and a television. 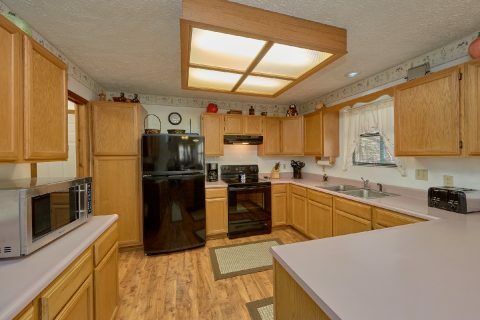 Nearby, there's a full kitchen and dining area that's perfect for having delicious meals with family and friends. 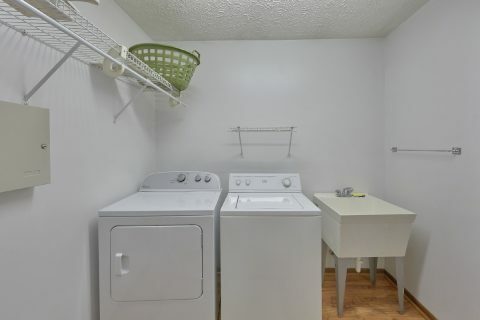 This rental also comes complete with a foosball table so you can enjoy some friendly competition. 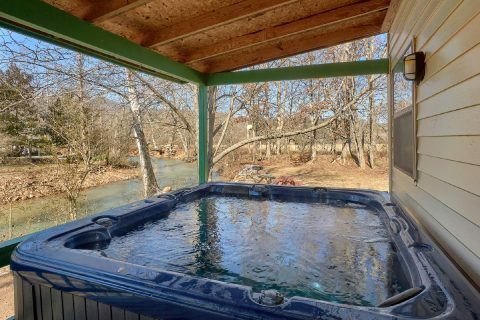 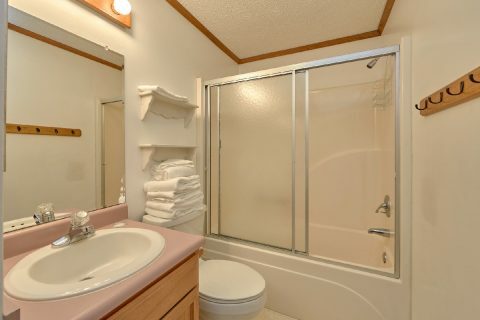 For some true relaxation, you can step outside to your rental's deck to take a soothing dip in the hot tub while you listen to the sounds of the nearby creek. 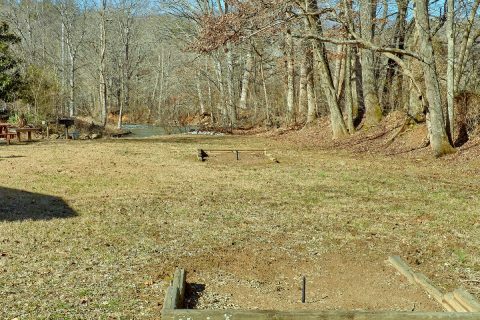 In your rental's spacious yard area, you'll have plenty of room to throw the football or play a game of horseshoes on the outdoor horseshoe pit. 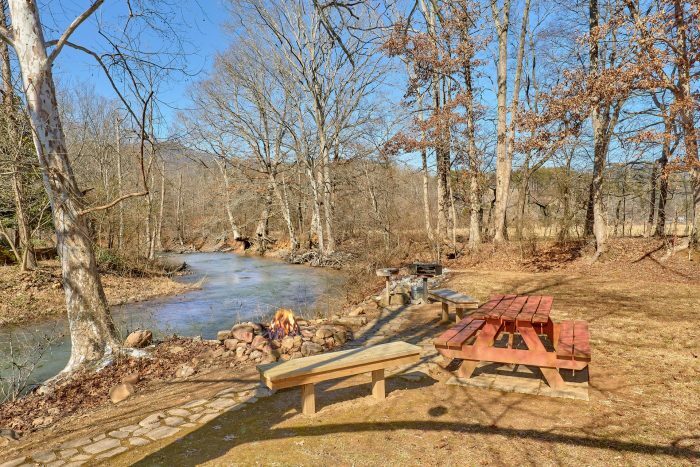 As the evening winds down, everyone can gather around the outdoor fire pit to roast marshmallows and tell tall tales underneath a starry Smoky Mountain night's sky. 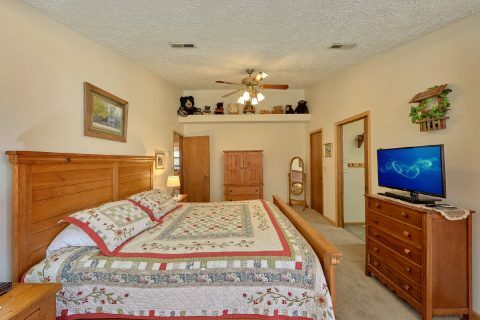 During your stay at "Creekside Cottage," you'll also enjoy practical amenities like the spacious two-car garage with a large driveway that provides plenty of parking for guests. 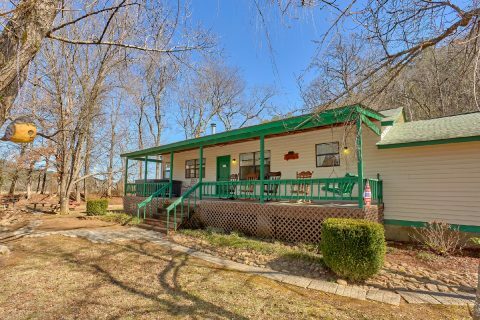 Additionally, this cottage provides guests with WiFi Internet, a charcoal grill, and a washer & dryer to use during their stay. 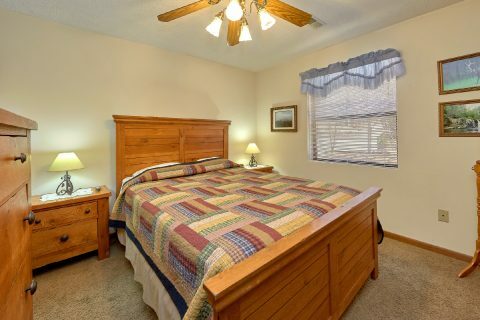 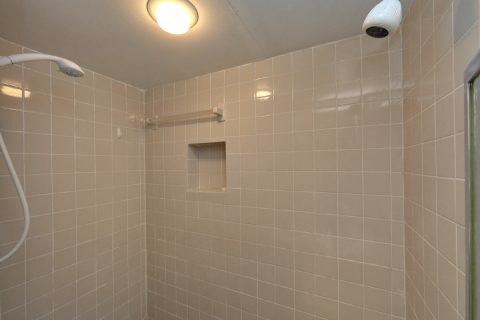 Once you're ready to get some rest on your vacation, you can look forward to staying in this rental's 3 bedrooms. 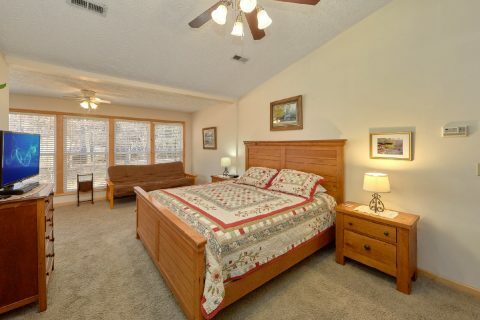 With a king bedroom, two queen bedrooms and a futon, "Creekside Cottage" can sleep up to 8 guests in comfort. 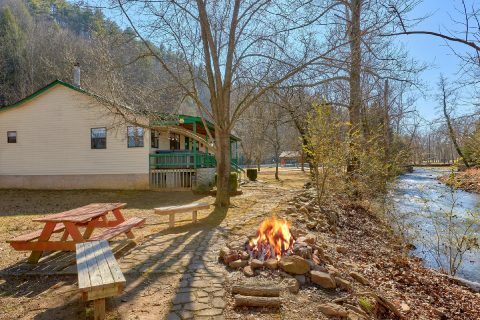 Book "Creekside Cottage" today with Cabins USA in Pigeon Forge to save 15% on your nightly rate in the Great Smoky Mountains of Tennessee!